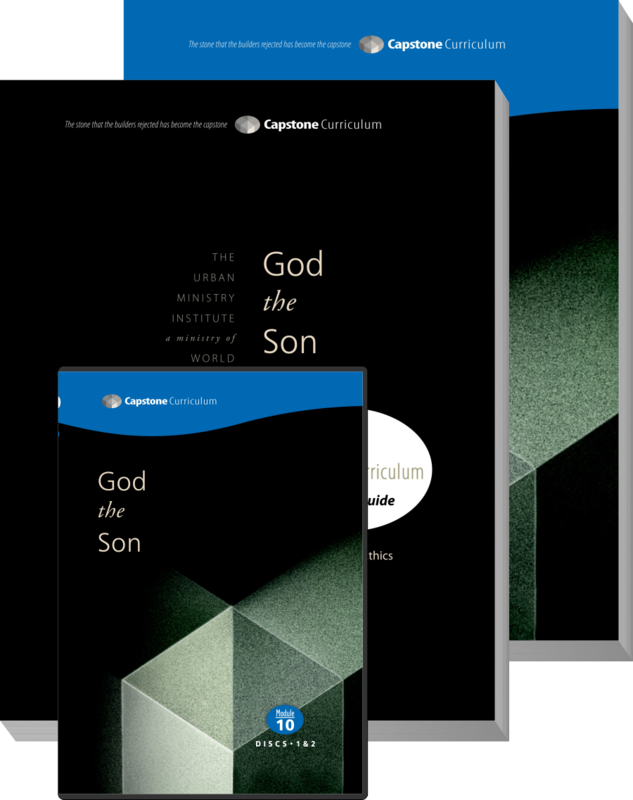 Capstone Curriculum is a 16-module training program, taught at a seminary level, which we specifically designed to serve as the most essential knowledge and skill learning necessary for effective urban ministry and church leadership. Each module (course) comes with a Mentor’s Guide, a Student Workbook and two DVD’s (four hours of video). Each module also has required supplemental textbooks. This curriculum is designed to be used in a variety of formats, time frames, and venues. As a complete training curriculum, it may be accessed through The Urban Ministry Institute’s Satellite Certificate program. With this curriculum you will have everything you need to equip yourself and your leaders for effective ministry in your church and community. Capstone Module Descriptions This document is a great tool to help you understand what each module is about in relatively few pages. To provide a biblical foundation for both understanding and practicing Christian leadership in the context of the Church, with a special emphasis and appreciation for spiritual formation in urban communities, especially among the poor. Accreditation and Capstone: An Overview of the Capstone Curriculum with all of the Module Descriptions and Lesson Objectives. 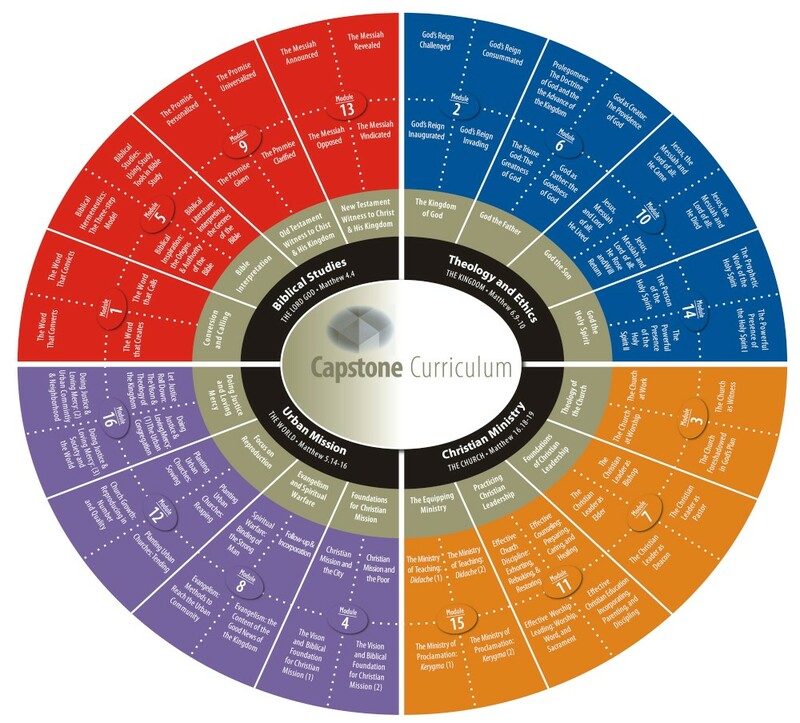 Here is a very helpful document that will give you information on Capstone for your review. This document will help you get a thorough understanding of the overall schema of Capstone as well as each particular module's content and objectives. This is the document that our partners have used to determine their level of accreditation for our resource and their institution of higher education. This is a great resource for your mentors! This two-page document provides an at-a-glance look at our entire Capstone Curriculum (including lesson titles), and also defines our terminology in this structure programming, along with breakdown of the modules and the outline of the lessons. Here is the one page view of all 16 Capstone Modules and their lessons. Are you interested in hearing actual module teaching? Feel free to preview one of the Capstone module’s instruction to gain a better understanding of what we’ve included in each module. Listening to the teaching may convince you that our training may be appropriate and desirable for your church or ministry leadership training! 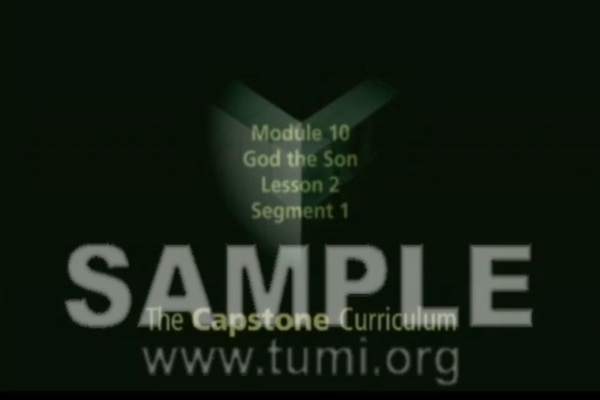 TUMI's Capstone Curriculum is a 16-module training program, taught at a seminary level, which we specifically designed to serve as the most essential knowledge and skill learning necessary for effective urban ministry. Capstone is modular in its design, which means the modules (courses) are complete in themselves, independent of each other and can be studied in any order. Each Capstone module has FOUR LESSONS, along with a set of assignments the students will need to complete for that module. Each lesson has one hour of video (broken into two parts we call video segments of 30 minutes each). In addition, mentors are given resources in the mentor guide to help them facilitate each Capstone Module, ensuring the students understand key elements of each lesson/module. The workbook lesson outline (in its entirety) is available for you to download along with both video segments for you to view. Devotion: Each lesson starts with a devotional integrated with the lesson’s theme and teaching material. Contacts: These exercises, many based on true happenings, are dialogue starters designed to “prime the pump,” so to speak, of both the students’s interests and imaginations about the topics covered in the upcoming lesson. Lesson Objectives: Each Capstone module lesson is structured around clear learning objectives which direct the student learning activities and serve as the thematic center of the teaching. They specifically state what each lesson hopes to attain, specifically what each student will grasp and learn as a result of that lesson’s interaction. Lesson Outline and Video: Each Lesson's teaching outline is broken into two parts, Segment 1 and Segment 2, and each segment has 30 minutes of video that coincide with the outline for that video segment in the workbook. Student Questions: Each video segment in each lesson concludes with clear review questions to encourage student interaction with the material, and to ensure they comprehend the meaning and significance of the concepts covered in the video segment. Summary of Key Concepts: At the end of a lesson, this section summarizes the main concepts covered in the presentation and materials covered, and is offered as a neat summary piece and resource for ready review later. Student Application/Implications: Also at the end of each lesson, we encourage students to reflect on the ramifications of the teaching for their life and ministry. Each lesson contains specific questions to encourage that kind of reflection and dialogue. Case Studies: The wisdom the students can glean from relating their knowledge to real, life case studies is invaluable. This section at the end of each lesson provides practical, realistic, and often true-to-life examples where the students can grapple with real life application of their teaching just covered in this lesson. 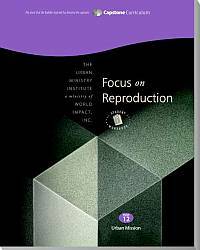 Resources and Bibliographies: For further study, we provide 3-4 additional texts of interest in each lesson to encourage those interested to probe deeper into the complexities and implications of the concepts covered in the lesson. 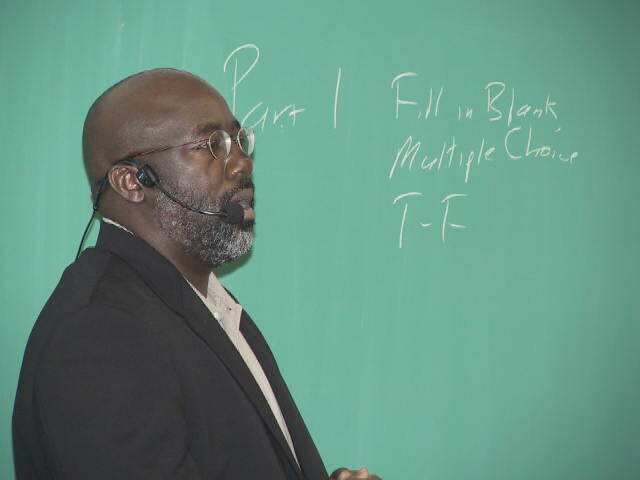 Ministry Connections: We encourage the students to seek to find connection and integration of the concepts and wisdom offered in the context of their own particular ministry responsibilities. This allows opportunities to apply the insights of the lesson right away, immediately in the outworking of their life and service. Course Requirements: A summary of the assignments for this particular Capstone Module. Required Textbook Reading Assignments: We require students to purchase, read, and reflect upon the textbook(s) for each course. Students must read each required textbook and write a precis (concise summary) of its main point, as they see it. Scripture Memorization: For each module, there are three passages/references total that the students must memorize (one for lesson one, one for lesson two and one for lesson 3, none for lesson 4). Quizzes and Final Exam: The quizzes and final exam are designed to quiz students on the material covered in class. There are three quizzes (a quiz for lessons 1-3) and a final exam (questions from lesson 4 are incorporated into the final exam). The quizzes are taken in class and the final exam is typically a take home "closed book" exam. Exegetical Project: Each module contains an inductive Bible study assignment which requires the students to grapple with the Scripture’s teaching of the module’s subject matter. Ministry Project: At the end of each module’s study, we ask each student to design a practical ministry project where they can specifically share and apply their learning in the context of their personal lives and ministries. We created a summary document of our vision and how churches, ministries, and organizations can partner with us in training their leaders that you can print and give out to others who may be interested in finding out more about how we could work together to accomplish this. Do you know someone who might be interested in starting a TUMI satellite? Here is a link to a page with some of our printing resources that will help you share the vision of TUMI with others. If you know of anyone who is interested in starting a TUMI satellite, you may print out these materials, put them in a folder, and give them to the individual(s). 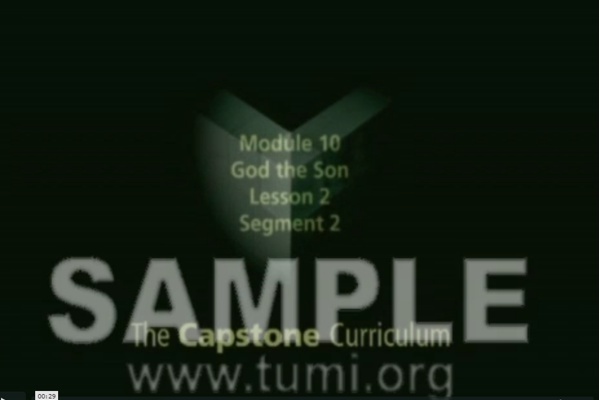 Each Capstone module has assigned textbooks which are read and discussed through the course. We encourage students to read, reflect upon, and respond to these with their professors, mentors, and fellow learners. The current listing on our site will always represent the OFFICIAL Capstone required textbook list. Geisler, To Understand the Bible Look for Jesus, Chapters 1-2. Packer, God Has Spoken: Revelation and the Bible, Chapters 1-2. Erickson, Introducing Christian Doctrine, 2nd Edition Chapters 6-7; 3rd Edition Chapters 5-6. Geisler, To Understand the Bible Look for Jesus, Chapters 3-4. Erickson, Introducing Christian Doctrine, 2nd Edition Chapters 33-34; 3rd Edition Chapters 33-34. Geisler, To Understand the Bible Look for Jesus, Chapters 5-6. Packer, God Has Spoken: Revelation and the Bible, 5-6. Ladd, Gospel of the Kingdom: Scriptural Studies in the Kingdom of God, Introduction, Chapters 1-111. Snyder, Kingdom, Church and World: Biblical Themes for Today, Chapters 1-4. Ladd, Gospel of the Kingdom: Scriptural Studies in the Kingdom of God, Chapters IV-VI. Snyder, Kingdom, Church and World: Biblical Themes for Today, Chapters 5-8. Cornett and Davis, Thy Kingdom Come! Readings on the Kingdom of God (Appendix 21), pp. 114-125; 134-170. Ladd, Gospel of the Kingdom: Scriptural Studies in the Kingdom of God, Chapters VII-IX. Snyder, Kingdom, Church and World: Biblical Themes for Today, Chapters 9-11. Erickson, Introducing Christian Doctrine, 2nd Edition - Chapters 33-34; 3rd Edition - Chapters 33-34. Snyder, The Community of the King, Intro, Part 1. Davis, Sacred Roots, Intro, Chapters 1-4. Allsman, Jesus Cropped from the Picture, Part 1. Erickson, Introducing Christian Doctrine, 2nd Edition - Chapter 36; 3rd Edition - Chapter 36. Snyder, The Community of the King, Part 2. Davis, Sacred Roots, Chapters 5-9. Allsman, Jesus Cropped from the Picture, Part 2. Erickson, Introducing Christian Doctrine, 2nd Edition - Chapter 37 "The Functions of the Church"; 3rd Edition - Chapter 37 "The Functions of the Church". Snyder, The Community of the King, Part 3. Davis, Sacred Roots, Chapter 10, Epilogue. Allsman, Jesus Cropped from the Picture, Part 3. Bakke, A Theology as Big as the City, Introduction, Chapters 1-8. Webber, Who Gets to Narrate the World? : Contending for the Christian Story in an Age of Rivals, Introduction, Chapters 1-2. Piper, Let the Nations be Glad, Introduction, Part I.
Bakke, A Theology as Big as the City, Chapters 9-18. Webber, Who Gets to Narrate the World? : Contending for the Christian Story in an Age of Rivals, Chapters 3-5. Piper, Let the Nations be Glad, Part 2. Bakke, A Theology as Big as the City, Chapters 19-26. Piper, Let the Nations be Glad, Part 3, Conclusions, Afterward. Erickson, Introducing Christian Doctrine, 2nd Edition - Chapters 1-3; 3rd Edition - Chapters 1-2. Fee, How to Read the Bible for All its Worth, Chapters 1-4. Wald, The New Joy of Discovery in Bible Study, Introduction, Part I.
Erickson, Introducing Christian Doctrine, 2nd Edition - Chapters 4-5; 3rd Edition - Chapters 4-5. Fee, How to Read the Bible for All its Worth, pp. 94-186. Wald, The New Joy of Discovery in Bible Study, Part II (Chapters 7-10). Erickson, Introducing Christian Doctrine, 2nd Edition - Chapters 6-8; 3rd Edition - Chapters 5-7. Fee, How to Read the Bible for All its Worth, pp. 187-245. Wald, The New Joy of Discovery in Bible Study, Part II (Chapters 11-14). Erickson, Introducing Christian Doctrine, 2nd Edition - Chapters 14-15; 3rd Edition - Chapters 13-14. Packer, Knowing God, Part I.
Tozer, The Knowledge of the Holy: The Attributes of God: Their Meaning in the Christian Life, Chapters 1-7. Erickson, Introducing Christian Doctrine, 2nd Edition - Chapters 10 & 12; 3rd Edition - Chapters 9 &11. Packer, Knowing God, Part II. Tozer, The Knowledge of the Holy: The Attributes of God: Their Meaning in the Christian Life, Chapters 8-15. Erickson, Introducing Christian Doctrine, 2nd Edition - Chapters 11 & 16; 3rd Edition - Chapters 10 & 15. Packer, Knowing God, Part III. Tozer, The Knowledge of the Holy: The Attributes of God: Their Meaning in the Christian Life, Chapters 16-23. Allsman, The Heroic Venture, Introduction, Section One. Bennett, Metaphors of Ministry: Biblical Images for Leaders and Followers, Introduction, Part I.
Getz, Elders and Leaders, Introduction, Chapters 1-14. Allsman, The Heroic Venture, Section Two. Bennett, Metaphors of Ministry: Biblical Images for Leaders and Followers, Part 2 (Chapters 6-10). Getz, Elders and Leaders, Chapters 15-27. Allsman, The Heroic Venture, Section Three. Bennett, Metaphors of Ministry: Biblical Images for Leaders and Followers, Part 2 (Chapters 7-11; Part 3. Getz, Elders and Leaders, Chapters 28-37. Fish, Every Member Evangelism for Today, Part I (Chapters 1-3). Anderson, Victory Over the Darkness: Realizing the Power of Your Identity in Christ, Introduction, Chapters 1-4. Fish, Every Member Evangelism for Today, Part II (Chapters 4-5). Anderson, Victory Over the Darkness: Realizing the Power of Your Identity in Christ, Chapters 5-8. Fish, Every Member Evangelism for Today, Part III (Chapters 6-7). Anderson, Victory Over the Darkness: Realizing the Power of Your Identity in Christ, Chapters 9-13. Geisler, A Popular Survey of the Old Testament, Part 1-2. Geisler, A Popular Survey of the Old Testament, Part 3-4. Geisler, A Popular Survey of the Old Testament, Part 5. Erickson, Introducing Christian Doctrine, 2nd Edition Chapter 24; 3rd Edition, Chapter 23 . Bowman, Putting Jesus in His Place: The Case for the Deity of Christ, Intro, Part 1. Erickson, Introducing Christian Doctrine, 2nd Edition Chapter 26; 3rd Edition= Chapter 25 . Bowman, Putting Jesus in His Place: The Case for the Deity of Christ, Part 2-3. Erickson, Introducing Christian Doctrine, 2nd Edition Chapters 27-28; 3rd Edition- Chapters 26-27. Bowman, Putting Jesus in His Place: The Case for the Deity of Christ, Part 4-5, Conculsion. Demarest, Who is Jesus? Further Reflections on Jesus Christ: The God-Man, Chapters 9-12. Carter, The Gifted Pastor, Intro, Chapters 1-3. Cothen and Barlow, Equipped for Good Work: A Guide for Pastors, Chapters 1-5. Carter, The Gifted Pastor, Chapters 4-6. Cothen and Barlow, Equipped for Good Work: A Guide for Pastors, Chapters 6-10. Carter, The Gifted Pastor, 7-11. Cothen and Barlow, Equipped for Good Work: A Guide for Pastors, Chapters 11-16. Mull, A Biblical Church Planting Manual: From the Book of Acts, Introduction - Three (Provides a Place of Prayer to meet God with Others). Phillips, Out of Ashes, Section I-II. Mull, A Biblical Church Planting Manual: From the Book of Acts, Four (Provides a Public Preaching Place)- Eight (Trains Lay Leaders to Become Preachers). Phillips, Out of Ashes, Section III. Lewis, Rebecca. Missions in the 21st Century: Working with Social Entrepreneurs? Travis, John and Anna. Contextualization Among Hindus, Muslims, and Buddhists: A Focus on "Insider Movements." Mull, A Biblical Church Planting Manual: From the Book of Acts, Nine (Cross Cultural Barriers) - Twelve (Starts Other Churches). Phillips, Out of Ashes, Section IV-V.
Stott, The Incomparable Christ, Introduction, Part I.
Elwell and Yarbrough, Encountering the New Testament: A Historical and Theological Survey (Encountering Biblical Studies), Chapters 1-8. Stott, The Incomparable Christ, Part II-Part III (Ch. 1-6). Elwell and Yarbrough, Encountering the New Testament: A Historical and Theological Survey (Encountering Biblical Studies), Chapters 9-16. Stott, The Incomparable Christ, Part III (Ch. 7-12, Conculsion), Part IV, Conclusion. Elwell and Yarbrough, Encountering the New Testament: A Historical and Theological Survey (Encountering Biblical Studies), Chapters 11-16. Erickson, Introducing Christian Doctrine, 2nd Edition - Chapter 29; 3rd Edition, Chapter 28. Keener, Gift and Giver: The Holy Spirit for Today, Intro, Chapters 1-3 (and the Appendix, "What Can Bible Stories Teach Us?"). Pritchard, Names of the Holy Spirit , ("Spirit above the Water," p. 11; "Mind of the Lord, p. 55; "His Spirit," p. 59; "Power of the Lord," p. 88; "God" p. 118). Erickson, Introducing Christian Doctrine, "The Work of the Holy Spirit in the Old Testament" 2nd Edition- Chapter 30; 3rd Edition- Chapter 29. Keener, Gift and Giver: The Holy Spirit for Today, Chapters 4-7. Pritchard, Names of the Holy Spirit , ("Breath of Life," p. 13; "The Anointing," p. 199; "Spirit of Prophecy," p. 209; "Spirit of Justice," p. 49; "Spirit of Christ," p. 129). Erickson, Introducing Christian Doctrine, "The Work of the Holy Spirit in the Life of a Christian," 2nd Edition - Chapter 30; 3rd Edition - Chapter 29; "Sanctification," 2nd Edition - Chapter 35; 3rd Edition - Chapter 35; "The Miraculous Gifts Today," 2nd Edition - Chapter 30, 3rd Edition - Chapter 29. Keener, Gift and Giver: The Holy Spirit for Today, Chapters 8-10, Conclusion. Pritchard, Names of the Holy Spirit , ("Water," p. 77; "Fire", p. 110, "Seal,", p. 165; "Oil," p. 19. Davis, Handbook of Basic Bible Texts, Chapters 1-4. Long, The Witness of Preaching, 2nd edition, Introduction, Chapters 1-2. Davis, A Sojourner's Quest , Introduction, Part I.
Stevens, The Equipper's Guide to Every-Member Ministry, Introduction, Chapters 1-2. Davis, Handbook of Basic Bible Texts, Chapters 5-8. Long, The Witness of Preaching, 2nd edition, Chapters 3-6. Davis, A Sojourner's Quest , Part II. Stevens, The Equipper's Guide to Every-Member Ministry, Chapters 3-5. Davis, Handbook of Basic Bible Texts, Chapters 9-12. Long, The Witness of Preaching, 2nd edition, Chapters 7-10. Davis, A Sojourner's Quest , Part III-IV. Stevens, The Equipper's Guide to Every-Member Ministry, Chapters 6-8, Epilogue. Stott, Issues Facing Christians Today, Chapters 1-5. Stott, Issues Facing Christians Today, Chapters 6-10. Stott, Issues Facing Christians Today, Chapters 11-17.